The title was a comment made in 2011 by the US House of Representatives. 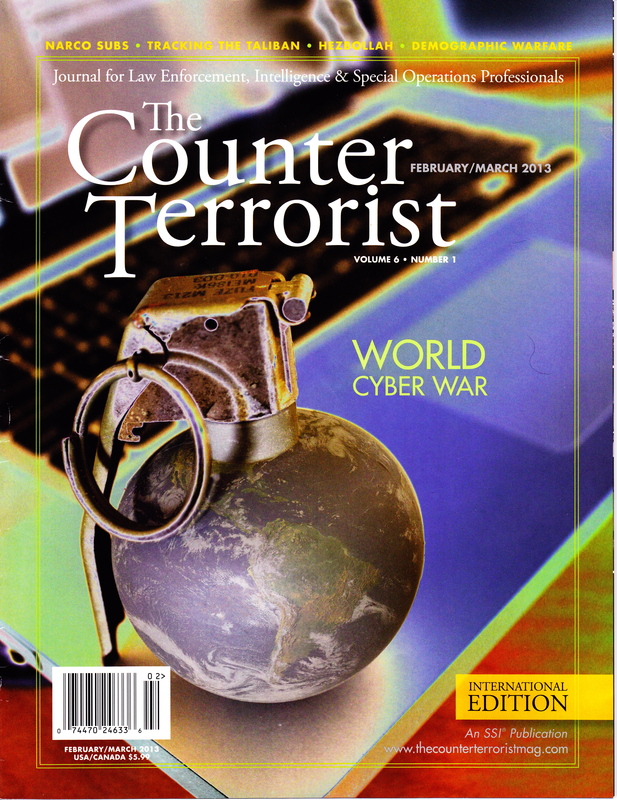 In cleaning out my house for an impending move I found a copy of The Counter Terorist Magazine for which I had written an article in 2013 titled “CyberWar”.While the article is 3 years old, it still provides some valuable information and valuable lessons on the current state of Cyber War. The US Congress has has several sessions and working groups to discuss “The Chinese Problem” related to cyber espionage and Cyber War. You can learn more by reading my article! So what does this really mean for you…the consumer? If you want to buy a Lenovo I would only ask that you email me as I have a great bridge for sale in Utah and would love to introduce you to some Ukrainian friends who love to give high interest loans. 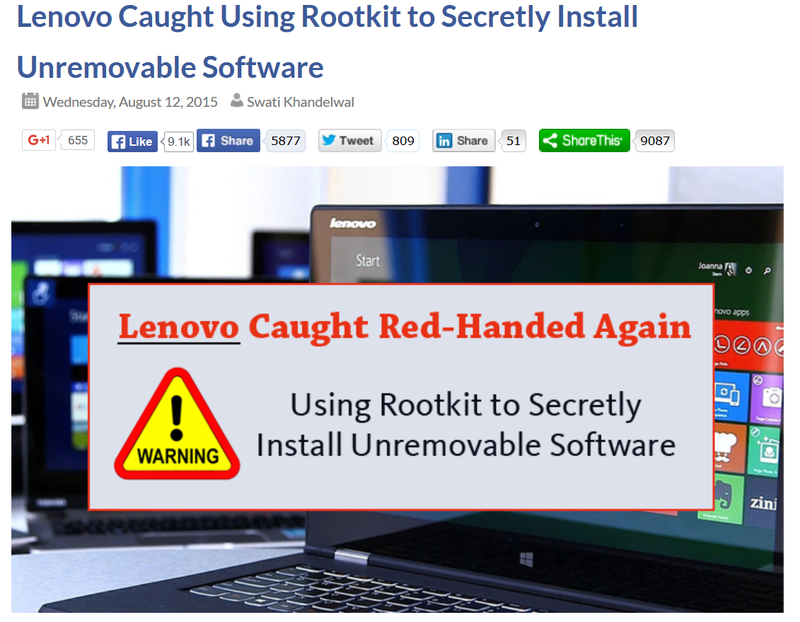 Honestly, if you are going to buy a Lenovo after reading this, you probably deserve what you get. I can tell you that I would never own a Lenovo again (had one in the 1990’s). Fool me once…shame on you…fool me twice shame on me…fool me a third time? Seriously? With the recent US Government’s acknowledgement of China’s hacking of numerous government websites and networks, many are likely wondering why China would have an interest in stealing employee data? To answer this question, we need to look back at the 1991 Gulf War. You can read my 2013 Article (WorldCyberwar) in the Counter Terrorist Magazine on this subject. In 1991, a coalition led by the United States invaded Iraq in defense of Kuwait. At the time Iraq had the 5th largest standing army in the world. The US led coalition defeated the Iraqi army in resounding fashion in only 96 hours. For those in the United States the victory was impressive but the average American civilian did not have an appreciation for how this victory was accomplished. The Gulf War was the first real use of what is known as C4I. In short, C4I is an acronym for Command, Control, Communications, Computers, and Intelligence. The Gulf War was the first use of a new technology known as Global Positioning Systems (GPS). The Battle of Medina Ridge was a decisive tank battle in Iraq fought on February 26, 1991 and the first to use GPS. In this 40 minute battle, the US 1st Armored Division fought the 2nd Brigade of the Iraqi Republican Guard and won decisively. While the US lost 4 tanks and had 2 people killed, the Iraqis suffered a loss of 186 tanks, 127 Infantry Fighting Vehicles and 839 soldiers captured. The Chinese watched the Gulf War closely and came away with an understanding that a conventional ‘linear’ war against the United States was unwinnable. Given the Chinese perspective on Unlimited Warfare, it becomes much more clear that what we are seeing with the compromises are examples of ‘pseudo wars’ being fought by the Chinese. It will be interesting to see how or if the US responds. *thank you to the reader who corrected my referencing Mr. Rohrbacher as a female. My apologies to Chairman Rohrbacher!